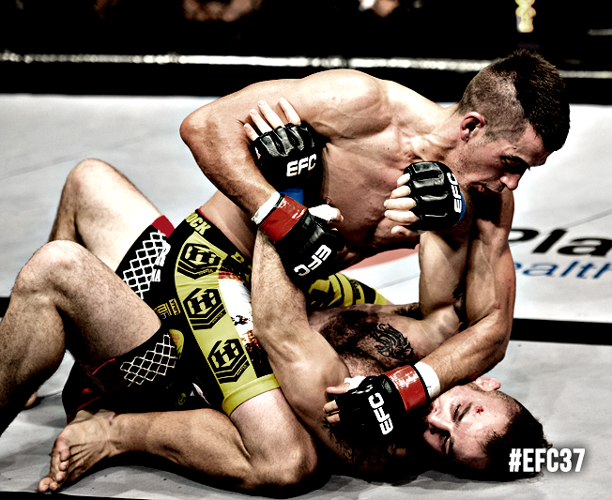 Johannesburg (South Africa) – The welterweight curse has become a notorious phenomenon in EFC. All eyes are on Adam ‘The Prodigy’ Speechly and David Buirski as one tries to end the curse and the other to prolong it. Even though the curse began with Speechly, Buirski is adamant that it will continue just a little bit longer on 21 February. “Look you sit dreaming on how you could possibly finish each fight you go into and somehow on most nights it’s not how you thought it was going to go,” Buirski explained on how he sees the fight ending. “So if I get a KO it will be great, but I’m looking to grab and take any and every opportunity I get to finish the fight,” he concluded. “Adam is a great ambassador for our sport and a two time champ in the division,” Buirski spoke about his opponent. “I think he is going to bring out my full potential for all the fans to see. I believe Adam and I are both humble guys who don’t need to trash talk to hype a fight. We both wait for the night to prove our worth in the EFC Hexagon and the fight on the night will speak for itself. I look forward to 21 February and meeting him in the Hexagon,” he continued.